Wolves generally get a poor rap in literature. Think of the fairytales you learnt as a child— the Grimm Brothers’ Little Red Riding Hood, Aesop’s The Boy Who Cried Wolf, the English tale of The Three Little Pigs, the Russian story of Peter and the Wolf. They all leave us in no doubt that wolves are wily, wicked and dangerous creatures. But there are stories that balance the ledger. Wolves feature prominently in Native American folklore where they are revered for their communal behaviour and their hunting prowess. (You can read some of the stories via the non-profit Native Languages of the Americas website). In Irish tradition, the sixth-century bishop St Ailbe (anglicised as ‘Elvis’) is said to have been found as a baby by a she-wolf and raised as part of a wolf pack until his rescue by either (a) a shepherd or (b) a prince, depending on which version you read. The tale shares some elements with the much older legend of Romulus and Remus. Wolves certainly have a long pedigree in oral and written storytelling. I have encountered them in my reading several times over the past year. First, I came across the slightly tangential references to wolves in Carol Rifka Brunt’s Tell the Wolves I’m Home where the animals, according to Brunt, come to represent ‘all the shameful and embarrassing thoughts and feelings that haunt us’ (Pan Macmillan’s Reading Group Notes). 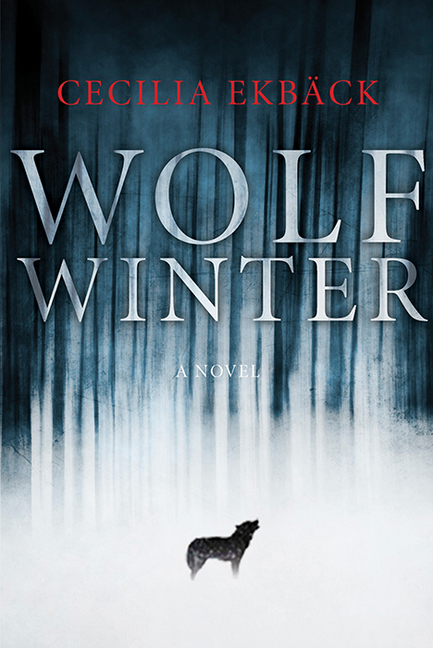 Then I read Cecilia Ekbäck’s Wolf Winter where the wolves are a central element in the narrative. Like the wolves of fairytales, Ekbäck’s animals are a menacing presence. They become scapegoats for what may, in fact, be human savagery. On her website, Ekbäck explains that the expression ‘wolf winter’, vargavinter in Swedish, ‘refers to an unusually bitter and long winter, but it is also sometimes used to describe the darkest of times in a human being’s life—the kind of period that imprints on you that you are mortal and, at the end of the day, always alone’ (Cecilia Ekbäck: Wolf Winter). There is nothing of the North American sensibility of the fostering wolf pack here. Perhaps wolves occupy a border country in the human mind; a liminal space where many possibilities—for good and ill, great peril and safe haven, abandonment and community—co-exist. If you have suggestions for other books that feature wolves, feel free to share your thoughts in a comment on this post. Brunt, Carol Rifka Tell the Wolves I’m Home. London: Macmillan, 2012. Ekbäck, Cecilia Wolf Winter. Toronto: HarperCollins, 2015. Hall, Sarah The Wolf Border. London: Faber & Faber, 2015. A children’s version of St Ailbe’s story is available on the Baldwin Online Children’s Literature Project website. In July 2015, UK author Emily Gravett celebrated the 10th anniversary of the publication of her wordless cut paper book Wolves by sharing her early sketches with the Guardian newspaper. You can see Gravett’s dramatic wolf drawings, and her commentary, here. Good Reads lists over 150 titles featuring wolves. You can find the list by searching ‘All Fictional Wolf Books (not werewolves)’. 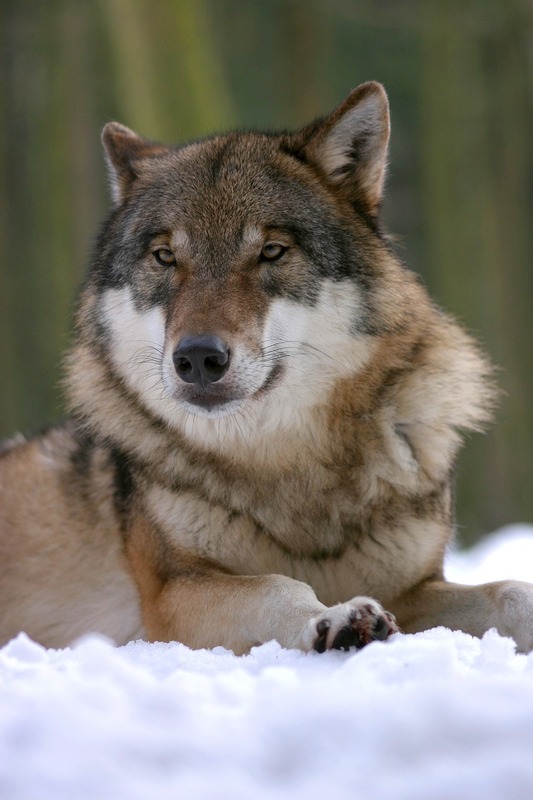 Photograph of wolf by steffiheufelder, via Pixabay. Released into the Public Domain under Creative Commons CC0.